Sort list… in the order you prefer. 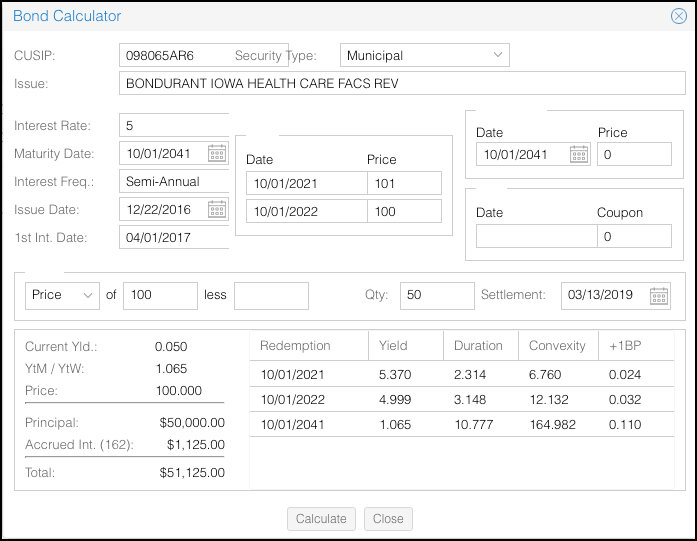 Full bond descriptions…Assure more accurate trades. An item is selected from the offering list (at the top), a ticket is presented (above) and the current offering is shown to verify availability. The rep completes the order according to the rules established by the firm and implemented by the system. Order sends the trade to the desk for review and approval. No more guessing about the accrued interest or total money on a proposed trade. 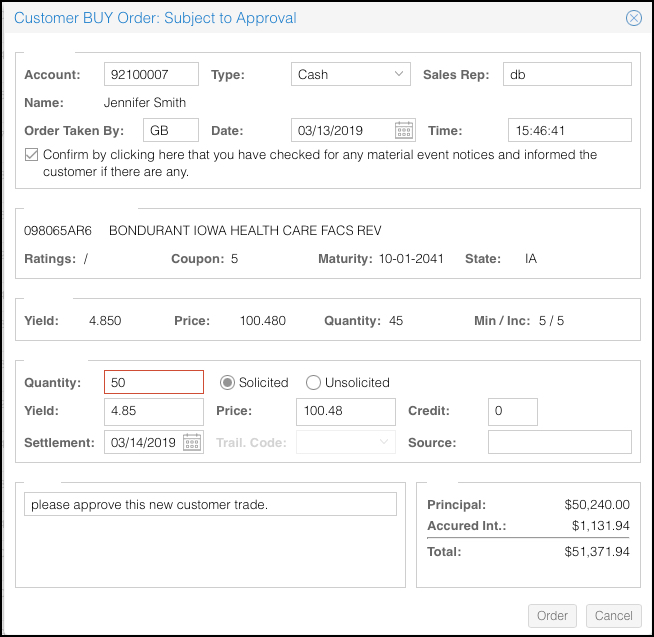 Create Offering Lists… select bonds to email to your customer. The rep can check their open & closed orders. Production by rep lets you identify your top performers.